Children's hair is often much more delicate than that of an adult, particularly if the child's hair is already dry or brittle. Standard hair care products that are designed to treat dry hair in adults can often times be too harsh for a child's delicate scalp and wind up worsening the situation. There are a number of natural remedies, however, that will moisturize a child's dry hair without the side effects of chemical treatments. One of the biggest culprits that contribute to dry hair in children are harsh shampoos. 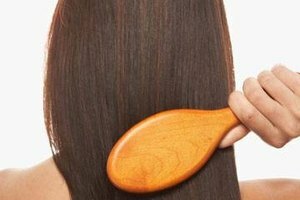 Typical store or salon bought shampoos contain a myriad of chemicals that can strip the hair of its natural oils, leaving the hair overly dry. This is particularly true in children, who's hair is typically much more fragile than that of an adult. There are, however, a number of natural alternatives to shampoo that cleanse the hair without being overly drying. One of the most effective means of creating a natural shampoo alternative is the use of baking soda and apple cider vinegar. Start by mixing 1 tablespoon of baking soda with just enough water to create a paste. Apply the paste to the child's scalp and allow it to sit for up to one minute. Massage the scalp with your fingers to increase stimulation and then work the mixture through the rest of the hair. Rinse the hair with warm water. Next, mix 2 tablespoons of apple cider vinegar with a cup of warm water and pour over the hair, working the mixture through to the ends. Allow it to penetrate the hair for one minute and then rinse. 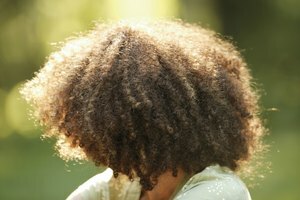 Mayonnaise has often been named one of the best natural alternatives to salon quality deep conditioners. The combination of egg and vegetable oils that are present in the mayonnaise help to penetrate the hair shaft and infuse it with naturally moisturizing ingredients. 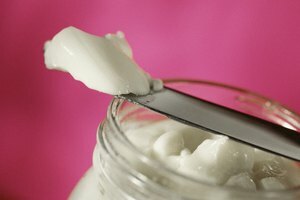 Many kids will love the silliness of putting mayonnaise in their hair as well, which will lessen the battle that may typically come with applying hair treatments. To apply, simply work the mayonnaise to damp, freshly washed hair and work through to the ends. Cover the hair in a shower cap or wrap it in plastic wrap and allow it to penetrate the hair for up to 20 minutes. Then remove the shower cap, rinse in warm water and comb through, allowing the hair to dry naturally. For a child's hair that has been damaged due to frequent sun or chlorine exposure, there are a number of natural remedies that will help to repair the damaged hair and infuse shine from root to tip. One treatment is to combine one half cup of organic honey with 3 tablespoons of natural olive oil. Work the mixture thoroughly through damp hair and cover with a shower cap. Allow the mixture to penetrate the hair for 30 minutes and then rinse well. 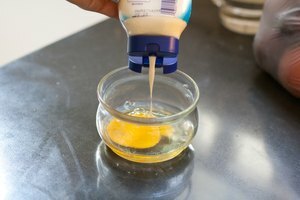 An alternate treatment is to mix 6 tablespoons of plain, natural yogurt with one well beaten egg. Work the mixture through damp hair and wait 15 minutes. Rinse well with warm water.